Knapp Creek Basin Ranch needs little introduction. Once you enter the property, you notice the solitude and the beauty of 1,994± acres all in a basin setting with virtually nothing else visible except Cascade Butte, Mount Cecelia and the mountain vistas. The Ranch is ringed from the northwest to the southeast by the Little Belt Mountains. Mount Cecelia to the west is the most prominent landmark and a stunning view shed. In the distance to the east, bordering this wide valley, are the Highwood Mountains. Cascade Butte sits directly to the north and is a rough borderline of the property’s northern boundary. Truly a unique setting! Being located only 3.5 miles from Cascade, with all its history and the mighty Missouri River, makes this an ideal location for a retreat while also serving as a productive grass ranch. Its close proximity to Great Falls International Airport makes travel very convenient. Location, privacy and views command this Ranch. This Ranch and the surrounding ranches are under conservation easements protecting the beauty of the area into perpetuity. The Sellers carefully assembled the Ranch starting in 1992, and over the years have created this extraordinary private-basin setting. The Sellers are noted western artists, and this Ranch exemplifies their true passion for the land. All of their efforts over the past 26 years were done with thought and careful planning to create the perfect sanctuary. The history on the Ranch ­– the old bunkhouse, historic barn, the root cellars, the buffalo run and the lost artifacts from the 1800s, make this place unique. It is a true gem. The 4,371 square-foot main residence was built in 1993-1994 by Dave Zion, a renowned builder, who was able to incorporate the desired designs of the Sellers into the house. The 2,000 square-foot art studio was built in 2013 by Jack Lyons also a builder and a western artist. Both are very tastefully designed. If desired the deluxe artist’s studio could easily be converted to a guest house. The barn and historic cabin have been well maintained. All of the improvements sit in the middle of the Ranch, creating a lovely compound, miles from anyone, or so it seems. Cascade Butte, Mount Cecelia, Knapp Creek, which runs year-round through the length of the Ranch, and Branch Creek and Antelope Creek, which are seasonal, all add to the serenity of this wonderful place. The abundance of grass and water creates an ideal habitat for the plentiful wildlife including mule and whitetail deer, elk, antelope, black bear, raptors, pheasant, sharp-tailed grouse, Hungarian partridge and waterfowl. The perimeter of the Ranch is entirely fenced and the interior is fenced for effective rotational grazing. 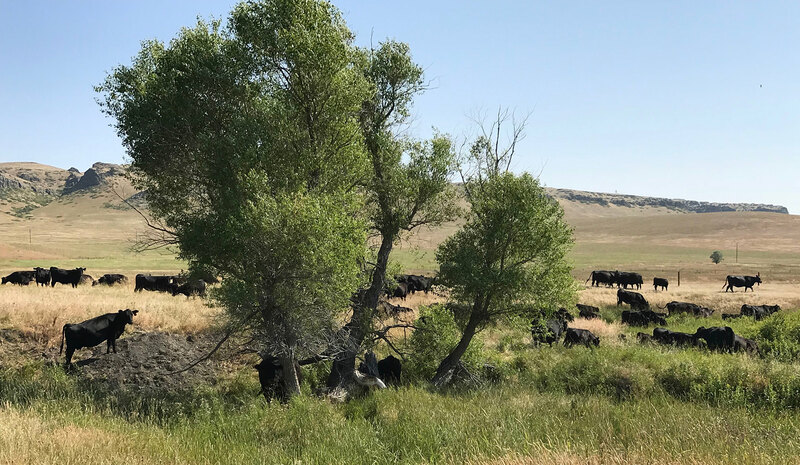 The Sellers historically have leased out the pasture from June to December to a local rancher who runs about 120 cow/calf pairs, which generates some additional income. The Sellers are downsizing to start the next chapter in their lives in order to be closer to a larger community, art galleries and to reduce their workload. They have decided to put this wonderful place that they call home on the market. 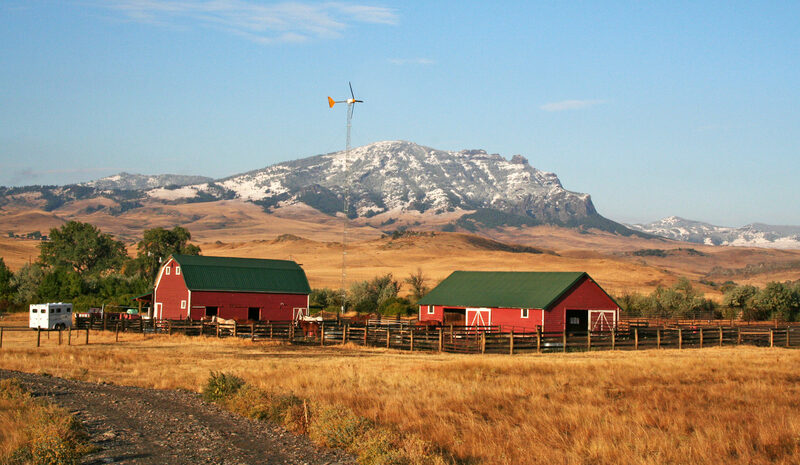 Cascade, a small farming and ranching community on the banks of the Missouri River, has a population of about 685 people. The Cascade Public School – District 3B serves Kindergarten through 12th grade. The high school has about 119 children with a student-teacher ratio of 9:1. The Cascade Badgers compete in the Montana High School Association as Class ‘C’ in athletics. Great Falls is a convenient 35-minute drive and provides all the services one would expect from a metropolitan city. Known in Montana as the “Electric City,” Great Falls is the commercial and banking hub of north central Montana. With a population of approximately 60,000, Great Falls offers a complete and diverse array of retail, dining, supply and equipment services. The Great Falls Clinic Medical Center also provides quality health care and surgical services. Located just east of Great Falls is Malmstrom Air Force Base, home to the 341st Missile Wing. Convenient commercial air service is provided at Great Falls International Airport with good connections offered by Allegiant Air, Delta, Frontier, Alaska and United Airlines. Currently, direct flights are available to Denver, Las Vegas, Minneapolis, Phoenix, Salt Lake City and Seattle. For up-to-date flight schedules and airport information, please refer to the airport website: www.gtfairport.com. Great Falls International Airport also has two fixed based operators (FBO's) – Holman Aviation (www.holmanaviation.com) and Front Range Aviation, Inc. (www.frontrangeaviationmt.com). The Pacific Flyway is one of the continental waterfowl-migration routes which runs north and south from Alaska to Patagonia with the more heavily flown lanes situated along principal river valleys tucked between mountain ranges. The route through western Montana is a major wheat growing region of both Canada and the United States. Knapp Creek Basin Ranch is strategically located in this major flyway in a classic river valley on the eastern front of the Rocky Mountains. The Ranch, with its plentiful water sources and numerous ponds, provides all the necessary elements to entice multitudes of ducks and geese traveling the Flyway. The hunting and fishing throughout Cascade County are renowned. 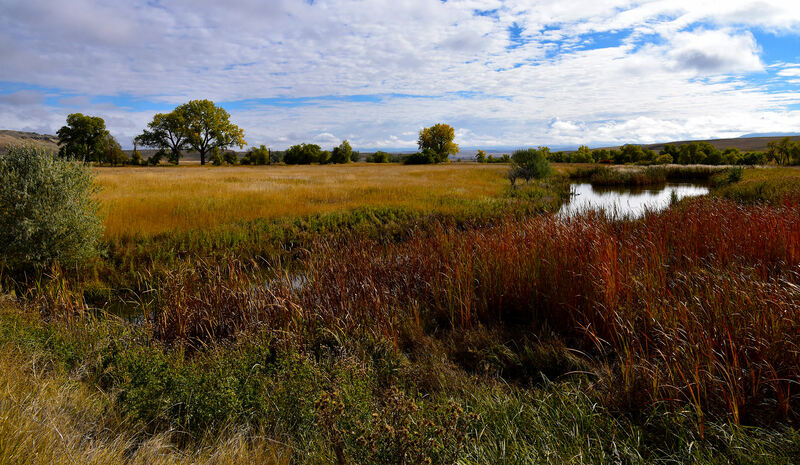 On the Ranch, the plentiful water sources including Knapp Creek, Branch Creek and Antelope Creek provide excellent water resources for stock water and irrigation but are not significant fisheries. However, the Missouri River, which is a five-minute drive from the Ranch, offers exceptional fly fishing and is recognized worldwide as a premier destination for anglers. The Missouri River, from Holter Dam to Cascade offers world-renowned fishing with over 6,000 fish per mile. The Missouri is an ideal river for both wade fishing or in a drift boat, with numerous public access points including several near Cascade. The next owner will enjoy a cornucopia of remarkable recreation including fishing, hunting, hiking, and motor boating on Holter Lake, along with all the amenities of Great Falls readily at hand. The hunting on the Ranch can be quite good. There are steady populations of mule and whitetail deer, as well as antelope, bear and the occasional elk. In addition, there are healthy populations of upland birds and waterfowl. The “Taylor Brothers” were the original pioneers on this Ranch, arriving in Cascade County in the 1880s. Their history in the Valley is local folklore. It all started in 1880 when William B. and Charlie Taylor came up the Missouri River on the C.W. Peck steamboat to Fort Benton when Montana was still a Territory. Their younger brother, John Booth Taylor, also known as J.B., followed suit, as did George Taylor, the fourth brother, soon thereafter. All of the brothers married, built barns and houses, and engaged in raising livestock and grain, raising their families in this pristine Rocky mountain-front environment. 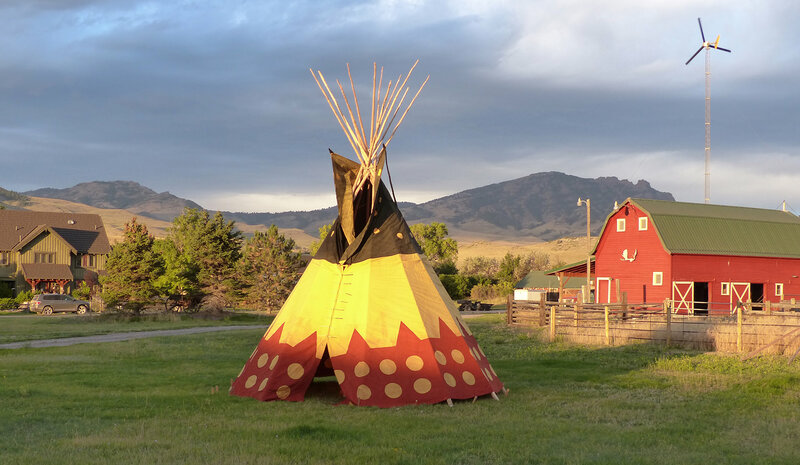 However, these were not the first humans to enjoy this land; many teepee rings in a pasture on the Ranch, plus arrowheads found in the region, attest to the Indians enjoying good hunting, fresh water, and beautiful scenery. In 1882, William signed up for a ‘homestead’ along Knapp Creek, followed by his brother J.B. William built his original homestead in 1884 on the site of the current Ranch home. In 1886, he filed on a second homestead patent about two miles west of Cascade, as did J.B. With adjoining homesteads, the two brothers went into partnership doing business under the name "Taylor Bros." On the J. B. Taylor homestead there were several good producing springs. In 1888, J.B. built a reservoir, developed the springs, and laid pipeline to the new village of Cascade. This water supplied the town for many years, and was eventually improved, enlarged, and finally purchased by the city. In the early part of 1894, J.B. constructed a second two-story house on the Taylor Brothers' property. The famous western artist Charlie Russell was a personal friend of William. Rumor has it that one summer in the 1920s Charlie kept his horses on the Ranch and he spent time painting the buttes. William’s son, William Raymond Taylor, Jr., was born April 14, 1899. He attended Cascade schools and graduated from a three-year Farmers Short Course at the State College in Bozeman in 1918. He ranched with his father until his father’s death, and then continued making ranching his life’s work. William Jr.’s son, Bill Taylor, III, lived up until a couple of years ago, and was friends with the current owners of the Ranch. 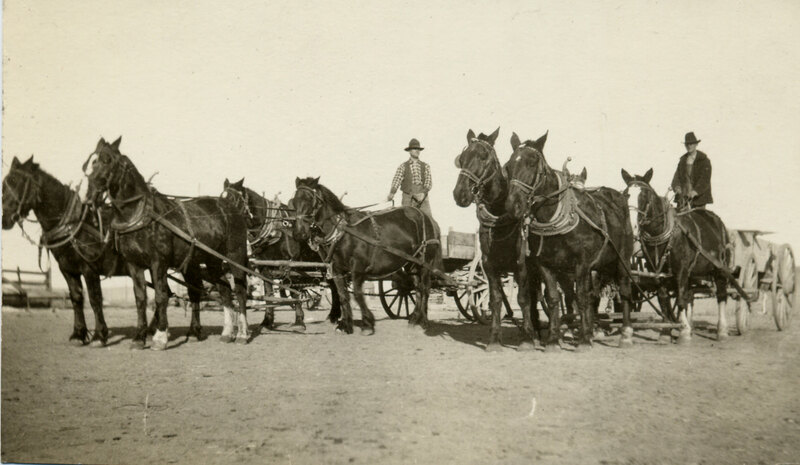 His grandfather was the original pioneer homesteader on the Ranch. William B. Taylor’s home was 99 years old when it was torn down in 1993, and replaced by the current 4,500 square-foot residence. Tower Rock, a nearby 424-foot-high rock formation was a landmark for native tribes, Lewis and Clark and their Corps of Discovery, fur trappers and traders. This igneous rock formation lies in the 140-acre Tower Rock State Park along a stretch of the Missouri River near the town of Cascade. Many Native American tribes used the rock as a landmark when they were entering and leaving the rich buffalo grounds of today's north central Montana. March 18, 2002, Tower Rock was added to the National Register of Historic Places. "an Indian road enters the mountain at the same place with the river on the Stard side and continues along it's border under the steep cliffs……At this place there is a large rock of 400 feet high which stands immediately in the gap which the Missouri makes on it's passage from the mountains... This rock I called the tower. It may be ascended with some difficulty nearly to it's summit and from it there is a most pleasing view of the country we are now about to leave. From it I saw that evening immense herds of buffalo in the plains below." Excerpt from the Journal of Captain Meriwether Lewis, July 16, 1805. 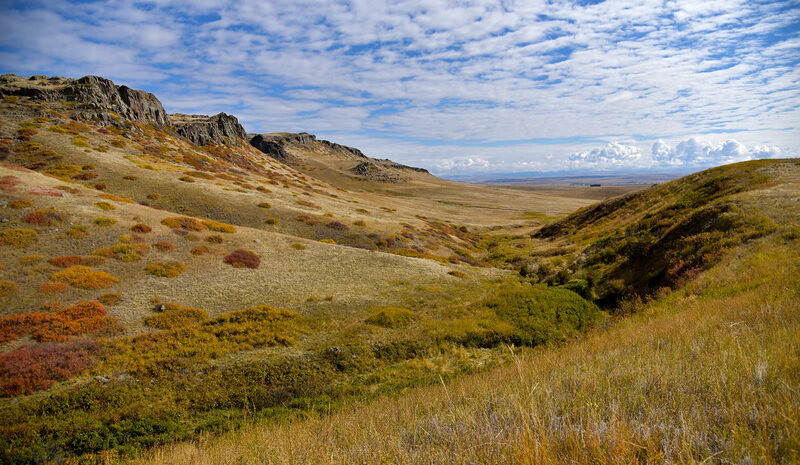 Knapp Creek Basin Ranch is comprised of 1,994± deed acres. It is primarily an irrigated grass ranch with some improved pasture. With three creeks ­– Knapp Creek, Branch Creek and Antelope Creek (the latter two seasonal), and numerous springs, the Ranch is well watered. The cattle and wildlife do not need to go far for water. Currently, a neighboring rancher leases the pasture, typically running about 120 cow/calf pairs for approximately six or seven months to graze the grass. 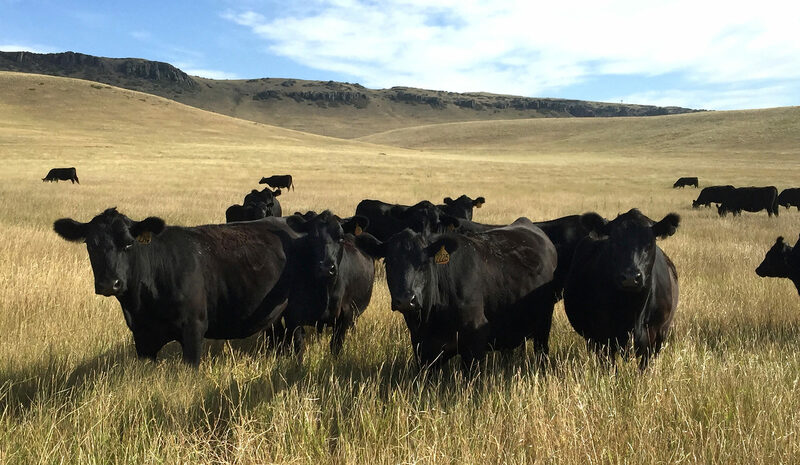 The annual Ranch income from bringing in pasture cattle has historically been approximately $20,000 to $23,000, but this year will be around $35,000 due to the high precipitation and strong grass concentrations. The pasture rate is currently $32 per AUM (Animal Units Per Month). The Ranch is perimeter fenced, in addition to well-placed interior fencing creating easy rotation of cattle for grazing purposes. 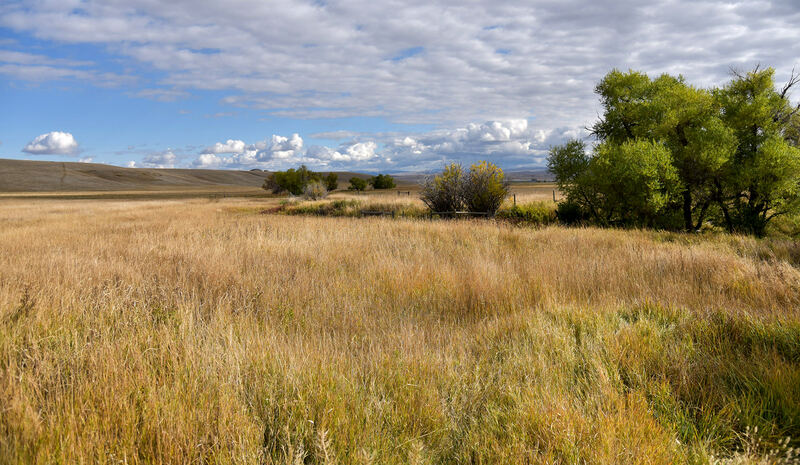 The Ranch is never overgrazed, and plenty of grass is always left for wildlife. The focus of the Sellers has been to be good stewards of the land, manage the weeds and not overgraze the Ranch. 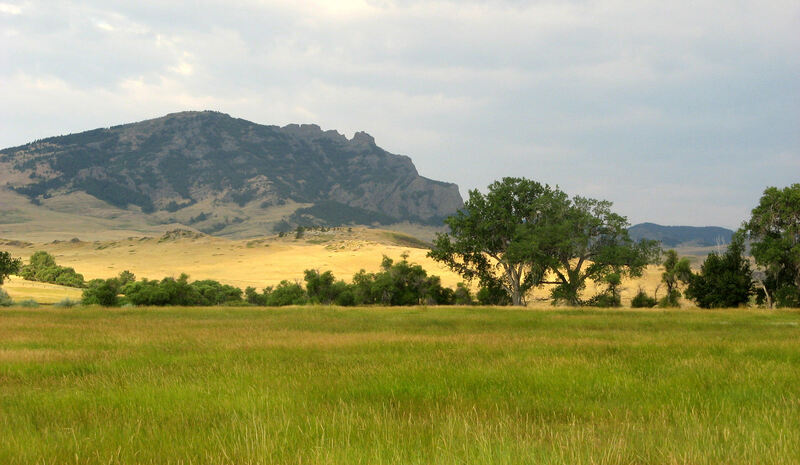 Many owners in the surrounding area have chosen to place all or a portion of their ranch under conservation in order to preserve the beauty and traditional use of the land. 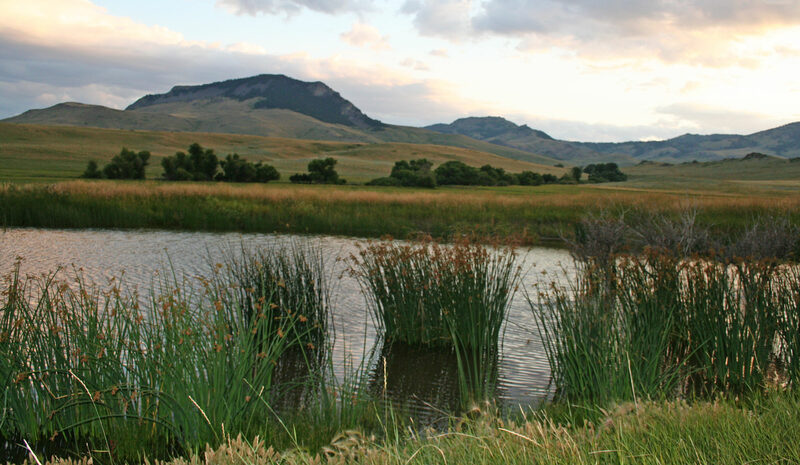 A conservation easement with the Montana Land Reliance was placed on the Ranch by the Sellers. The conservation easements, as the Gilleons and their neighbor, the Taylors, have personally designed them, provide that the land will always be used for livestock grazing and related to agricultural endeavors, but will not allow commercial or industrial use, or be subdivided into small parcels or housing developments. Both parties also feel strongly about maintaining clean, viable water sources and controlling noxious weeds while allowing sustainable grazing. They work together as friends and neighbors to maintain the Knapp Creek and Antelope Creek valleys in this fashion. Bill Taylor, along with Gilleons, has tried to preserve many of the original holdings of the old Taylor lands as possible. “It has been my joy to spend time as well as resources to maintain those things of lasting value, which I enjoyed during my life and work on our family ranch,” Bill said. To receive a complete copy of the conservation easement documents, please contact our Bozeman Office. All improvements on the Ranch, including interior and perimeter fencing, appear to be in good condition. The residential improvements on the Ranch are each served by an individual septic system. Domestic water is provided for by an individual well that pumps every 15 minutes into a cistern that has a 4,500-gallon capacity at the house and studio, and to a 3,000-gallon capacity cistern at the JBT (John Booth Taylor) corrals for watering livestock. Both the main house and the studio are very energy efficient, enhanced by the wind turbine that provides electricity to both structures. The main house was built in 1994 by Dave Zion, a renowned builder from Choteau, Montana. The 4,371 square-foot custom-built home on three levels has three bedrooms and three bathrooms, plus a den, an entertainment center and a recreation room on the third floor. Built using 2x6 construction, the home is well insulated with R-38 walls sprayed with foam insulation and wrapped in Thermax. In addition, air-tight Anderson Thermo Pane Rated Windows were incorporated further enhancing the high efficiency of the home, helping to minimize the heating and cooling costs. The house was built and positioned to minimize the sound of the wind. The exposed post and beams add to the rustic look and feel of the interior of the home. The century old beams, which are unusually long, came from the Anaconda Copper Smelter in Great Falls. Also, locally reclaimed is the 100-year-old wood flooring that came from the Fairfield Bench. The main house was situated, designed and built to maximize solar gain and minimize adverse weather affects. To sum up the main house, it is open, rustic, homey, eclectic, artsy and welcoming. The 2,000 square-foot art studio was built by Jack Lyons, another builder and western artist in 2013. The studio could easily be converted to a guest house. Constructed with ICF (insulated concrete form), the exterior of the studio is finished with Bridger Steel’s rustic board-and-batten steel siding. The Gerard Canyon Shake roof, which is fire-resistant stone-coated steel, has a lifetime warranty. The studio also has radiant-heat floors and a propane forced-air furnace. The barns, bunkhouse, shop/granary, chicken coops and all the outbuildings have all been restored and preserved. Another old chicken coop down by the JBT corrals was resided with board-and-batten siding creating an air tight 20x20 storage shed. There are also two corral systems for handling cattle. The JBT corrals are located near the entrance of the Ranch, and the other corral system is conveniently sited by the barn and house. According to the Department of Natural Resources, Knapp Creek Basin Ranch has 10 water rights with priority dates ranging from 1874 to 1939, with the majority pre-1900. There are 5 irrigation rights, 4 stock rights, and 1 domestic right. A complete water right report is available to qualified buyers by contacting our Bozeman office. This is a well-watered ranch with 15.65 CFS of Irrigation Rights and plentiful Stock Water Rights. The owners have not historically irrigated the Ranch as there is plenty of grass to accommodate their current ranching operation of bringing in pasture cattle for six or seven months. A new owner could resume irrigating the Ranch on a normal year with very little work. All water rights in Montana are subject to eventual re-adjudication by the Montana Water Court and as a result of that process, may be changed as to validity, amount, priority date, place of use and other such changes as the Court determines. The Sellers have made all of the filings currently required and will transfer the water rights as they currently stand with no warranty of future viability. The Ranch sits at an average elevation of about 3,375 feet above sea level. This area is known for its temperate climate, good moisture and fertile ground. The average precipitation is around 15.83 inches. The growing season is approximately 120 days starting on May 20th. Summer day-time temperatures average from 73 to 85 degrees Fahrenheit June through September but can get hotter, and drop to about 47 degrees in the evening. Winter day-time temperatures average around 38 to 46 degrees with evening temperatures dipping from 18 to 26 degrees. In addition to the wind turbine that provides electricity to the main home and the studio, electricity is provided through Northwestern Energy. The wind turbine is a Bergey Excel 10, which is the modern workhorse of the small wind industry. This 7-meter (23 ft) diameter, 10 kW wind turbine is designed for high reliability, low maintenance, and automatic operation in adverse weather conditions. Telephone is provided by Century Link and internet service is provided via Hughes Net. Propane service is provided by Breen Oil out of Great Falls. The 2018 real estate taxes for Knapp Creek Basin Ranch are estimated to be approximately $5,951.62. The Seller will convey with the Ranch all mineral, oil, gas, geo-thermal, hydro-carbon and gravel rights that they own with the Property, subject to reservations by previous owners. They make no representation as to the quantity, quality or existence of any mineral or other subsurface rights appurtenant to the Ranch. 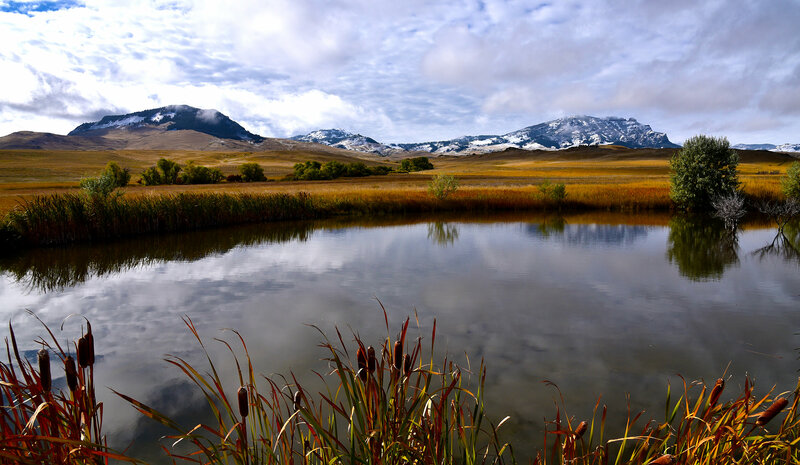 Knapp Creek Basin Ranch is located in Cascade County’s most traditional agricultural locale and can be maintained as a ranching operation with good water resources or just used as a personal retreat. This Ranch was carefully assembled over the years. It is a well blocked, beautiful piece of property with a strong grass component, plentiful water sources, unique geographical features, beautiful scenery and privacy. The well thought out improvements demonstrate the creative side of the Sellers and their love of the Ranch. They have spent 26 years on this Ranch. They assembled it over 26 years, built their home and studio, restored and preserved the old bunk house, barn and chicken coop plus all the other out buildings. They put their heart and souls into this Ranch. 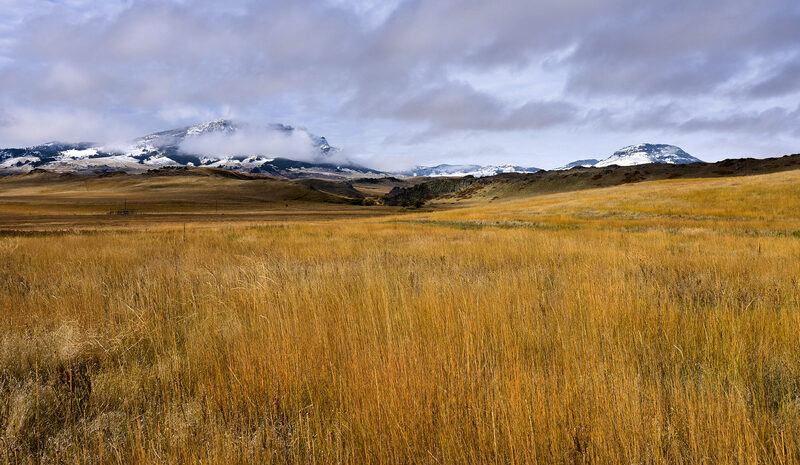 If you are seeking a beautiful ranch, easy to operate, reasonably priced, in a great location with very tasteful and functional improvements, take a look at Knapp Creek Basin Ranch in Cascade, Montana. Earnest money deposits will be placed in escrow with First American Title Company of Great Falls, Montana. Buyers’ Brokers are welcomed and invited to contact David A. Lowry in our Bozeman Office for information regarding Cooperation Policies and Commission Splits. The Sellers reserve the right to affect a tax-deferred exchange for other real property in accordance with provisions in Section 1031 of the Internal Revenue Code. The Buyer will not be required to incur any additional expenses nor to step into the chain of title on any property which the Sellers may acquire. This entire Offering is subject to errors, omissions, prior sale, change or withdrawal without notice and approval of purchase by the Sellers. Information regarding land classifications, acreages, carrying capacities, crop yields, potential profits, etc is intended only as general guidelines and has been obtained from sources deemed reliable; however, accuracy is not warranted or guaranteed by the Sellers or Swan Land Company. Prospective Buyers should verify all information to their sole and complete satisfaction.